To provide insight into these issues, the editors of this book have assembled the talents of the various stakeholders in this field. International authorities from a variety of disciplines have come together to share expertise from the biomaterials, industry, clinical, and laboratory perspectives. 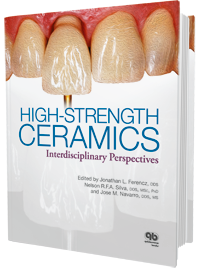 The result is a comprehensive reference on all-ceramic technology that combines thoughtful analysis of the state of the science with practical clinical advice for dentists and laboratory technicians alike. This book will provide readers with the tools to judge the research presented in the literature and incorporate best practices and advances in materials and technology into their armamentarium in a way that will benefit their patients.